We’ve been installing bathrooms for a very long time. As a family run business we have over 17 years experience in all aspects of bathroom installation, wet rooms and plumbing services. Our passion for providing quality workmanship with exceptional customer satisfaction has seen us become highly recommended amongst our customers in Royton, Shaw and Oldham. 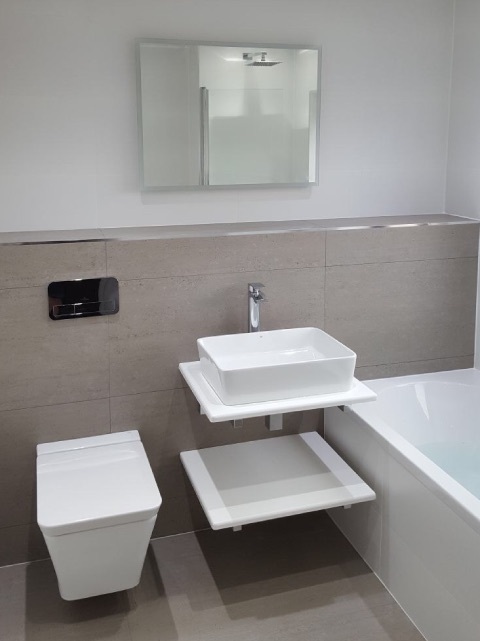 Our new bathroom installations provide peace of mind as we complete everything from start to finish include fitting, plumbing and electrics and our experience means you can rely on C Legge Bathrooms to get the job done right first time. If you have any questions about bathrooms why not send us a message. We’d love to hear from you about your new bathroom project. If you’re ready to get started on need some advice on how to move forward get in touch and we can arrange a free site visit and no obligation quotation.